SHACC lost one of it's longest running supporters, Ed Clapp, back in January but we just received a couple more boxes containing items that were donated to SHACC in Ed's will. 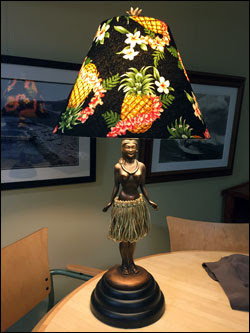 One of the coolest items is this hula girl lamp. We're trying to figure out just where to display this beauty, her hips actually sway! Thank you goes out to George Trosset for packing and sending us the items.